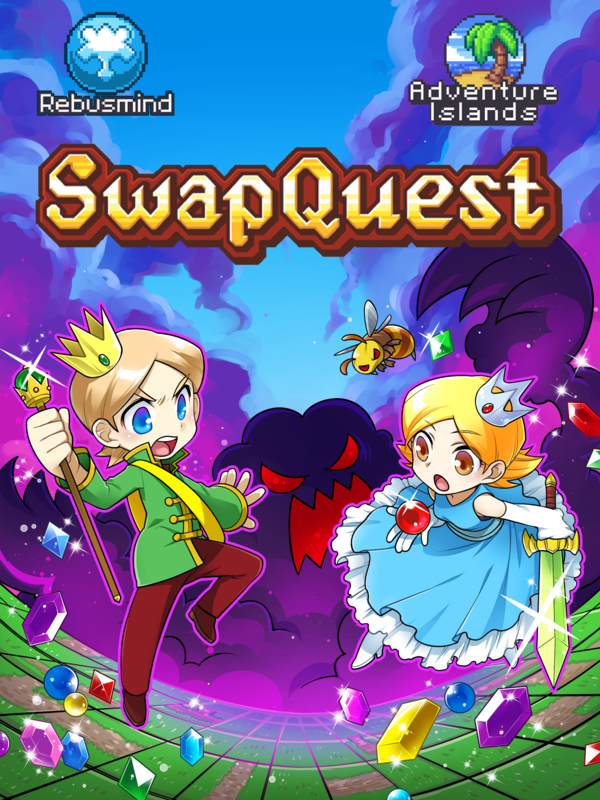 SwapQuest is a captivating new mix of easy-to-learn puzzle mechanics and old-school RPG elements. The kingdom of Aventuril is under attack by a demon cloud known as the Horde. Many legends tell of its destructive power and how it devoures everything in reach. Will you become the hero Aventuril needs? Can you find the magical sword that is said to be powerful enough to defeat the Horde? Play as Prince Wilbert or Princess Wilma and go on a journey through the land to become stronger, wiser and braver as you fight cursed monsters, find invaluable treasures and discover the secrets of Aventuril. The mix of Pipe Mania puzzle gameplay and RPG mechanics, SwapQuest, will soon come to the Playstation®Vita with new levels, a new character class and an additional boss fight. SwapQuest takes you on a journey through the kingdom of Aventana, which is threatened by the Horde, an evil cloud of demons that has escaped its prison to wreak havoc across the land. You take on the role of either Prince Wilbert or Princess Wilma to search for a magical sword that is able to bring peace back to the world. The game offers all the mechanics of a compelling RPG experience, but adds a unique twist in how you traverse the world. Build paths by swapping around tiles with different roads on them to guide your hero to treasure chests for loot or fight enemies along the way to grow stronger and learn new abilities. Between levels you can buy equipment, train said abilities or enchant your weapon and armor. Explore a huge world on your search for the sword, with over a dozen different areas, each with their own enemies and hazards. SwapQuest will be coming to the Playstation®Vita as a digital download. For more information go to www.swapquest.de..
Today I want to spotlight an element of the game that didn't get the attention it deserves until now: the soundtrack. SwapQuest hits the AppStore on March 19. Also, there's a new release trailer. SwapQuest has been nominated for the IMGA. I've also been working on a gif to encapsulate the essence of the game.